By investing in clean, green energy at scale, we are both powering our stores with renewable energy, reducing our environmental impact, and supporting access to green power in the communities in which we operate. Renewable energy is a key climate mitigation strategy and has an overall positive impact to local air quality through a reduction in pollution tied to traditional brown power plants. 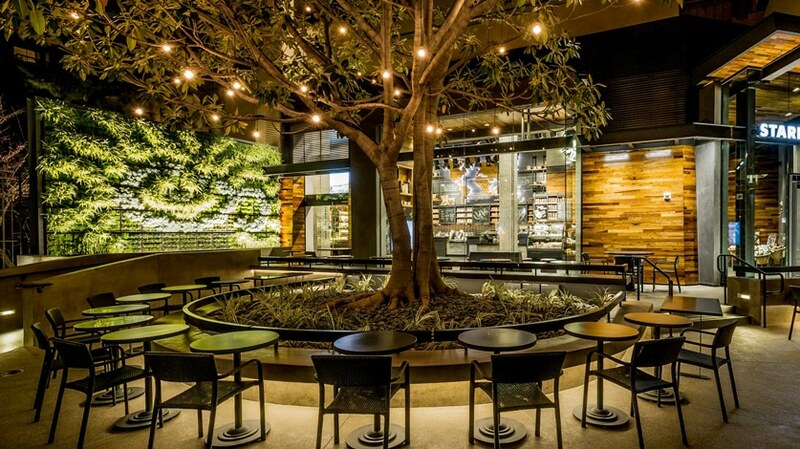 In 2004, Starbucks undertook its first-ever inventory of its own greenhouse gas emissions. That analysis revealed that 70 percent of emissions came from the purchase of electricity to power stores. We have invested in renewable energy since 2005, steadily increasing our purchases of renewable energy certificates until we achieved our goal of obtaining 100 percent of the electricity powering global company-operated stores from renewable sources in 2015. As we embark on the next chapter of our renewable energy strategy, we continue to use our scale to drive innovation across the renewable energy sector. We are taking the next step with direct investments in new geographically relevant renewable energy projects. In North Carolina, we have invested in a 140,000-acre solar farm which delivers enough clean energy to power more than 600 Starbucks stores in state and neighboring Virginia, Delaware, Kentucky, Maryland, West Virginia and Washington, D.C. And in Washington state, we’re working with Puget Sound Energy to power more than 100 Starbucks stores and our roasting facility in Kent, with wind power from a wind farm in nearby Olympia. In 2015, Starbucks joined with other companies in the commitment to 100 percent renewable energy through membership with RE100 and adherence to the RE100 Buyers Principles to improve our global reporting and purchasing methodology. We are working to source 100 percent renewable energy for global store operations as well as our global supply chain, headquarters and office locations. We are committed to purchasing renewable energy for each global market from projects in the same grid region and promoting local renewable energy generation in all of the global communities where we operate. In addition to reducing our energy use, we are also focused on advancing renewable energy sources through our purchasing practices and investments. For 2019, we remained one of the Environmental Protection Agency’s top purchasers of renewable energy in the U.S. In 2018, Starbucks made direct investments in wind and solar energy. In North Carolina, a 140,000 acre solar farm delivers enough clean energy to power the equivalent of the energy consumed by 600 Starbucks stores in state and neighboring Virginia, Delaware, Kentucky, Maryland, West Virginia and Washington, D.C. In addition, two wind projects will launch in 2019 to power 116 Seattle-area stores and the nearby Kent Roasting Plant and 360 stores in Illinois. The Green-E certified Renewable Energy Certificates (RECs) we purchase encourage the development of new clean-energy sources by providing wind-farm owners with additional revenue. This, in turn, helps the wind farmers sell electricity at prices competitive with power plants that use fossil fuels. We are proud to have purchased RECs equivalent to 100% of the energy used in our U.S. and Canada company-operated stores through 2018. We are working with our international market partners to identify and plan for purchasing more locally relevant renewable energy going forward.